Beets. They were one vegetable that despite my mother's "Girl Scout Bite" rule I had never tried even into adulthood. Why? For the simple reason that they were never served in my household as a child. My mom, it turns out, had never liked them and therefore chose never to serve them. Because I had no habit of eating them and didn't know what to do with them I never specifically chose them despite my longrunning love affair with so many other types of veggies. Isn't that funny how a simple dislike from one of our parents can result in years worth of stalemate with a new food? As I have gotten older I have definitely become more adventurous with my eating. I was always interested in ethnic foods and would have told you that I love trying new things. A simple trip to the big international grocery store in my area taught me about the tiny sliver of foods that I have actually been consuming. Many of the vegetables there I have never even seen before, much less have any idea how to prepare for a tasty repast. Lack of knowledge brings hesitation and perhaps avoidance in some cases when new foods are concerned. My ex would tell you that my first attempt at cooking a Thai soup after becoming enamored with the dish I ate at a local restaurant turned him off Thai for years to come due to my overzealous use of some of the stinkier ingredients.... so in some cases the caution is well advised. But back to beets. My first taste of a beet came at the end of a business trip to New York City several years ago. I had to take the train to Astoria to then take a bus to the airport. I got off at the last train stop and had time to burn. I have never been a fan of airport food - too expensive, too limited - and so I made sure to investigate my area for some sustenance prior to departure. Directly under the train platform I found a tiny, newly opened falafel restaurant. I adore falafel, especially when it is prepared from a family recipe - oh so tasty! And bonus, the sandwiches were only $5. I couldn't believe my luck and promptly ordered my dinner. Several bites into my intensely delicious meal I noticed something red in my wrap. What was that? It was good, whatever it was, and I inquired with the cook. Pickled beets was the answer. I was stunned and delighted. My falafels at home had just found a new accompaniment, one that I never would have chosen on my own. 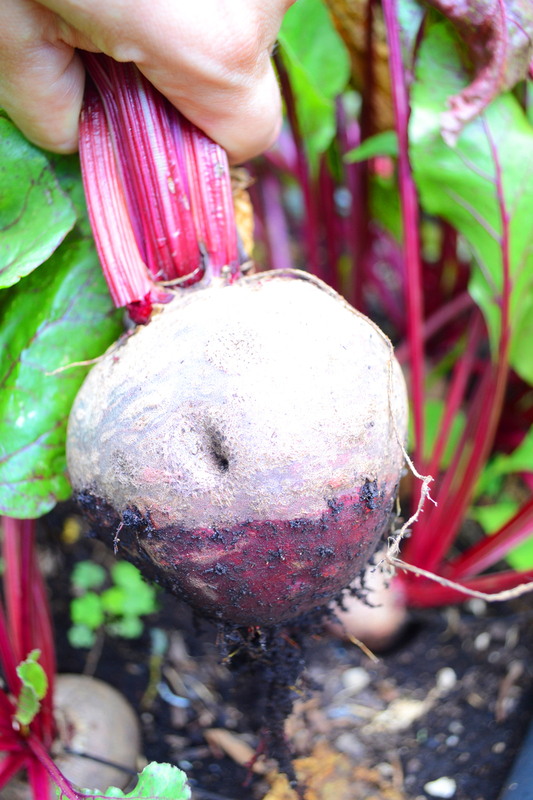 That sneaky pickled beet that rode in on my sandwich launched a sincere interest in this ravishing root. I decided that beets most certainly were one thing I would grow. I planted a bunch in the Blissoma comunity garden. They were ridiculously easy to tend and in a few months we had a bumper crop. I can vouch that I didn't have a single pest problem with growing these organically (unlike other plants) and they nearly took care of themselves. As a crop for the budding gardener they are a great bet for a satisfying result. Unsurprisingly many people, just like me, have not made any habit of eating beets due to unfamiliarity and therefore don't know what to do with them. I served them to as many friends as possible but still had many left that I couldn't bear to waste. So like a good thrifty gardener I set about preserving them. I was longing for that perfect pickled flavor - not too sweet, not too sour, not too salty. Something you can eat a lot of without puckering or feeling overwhelmed. 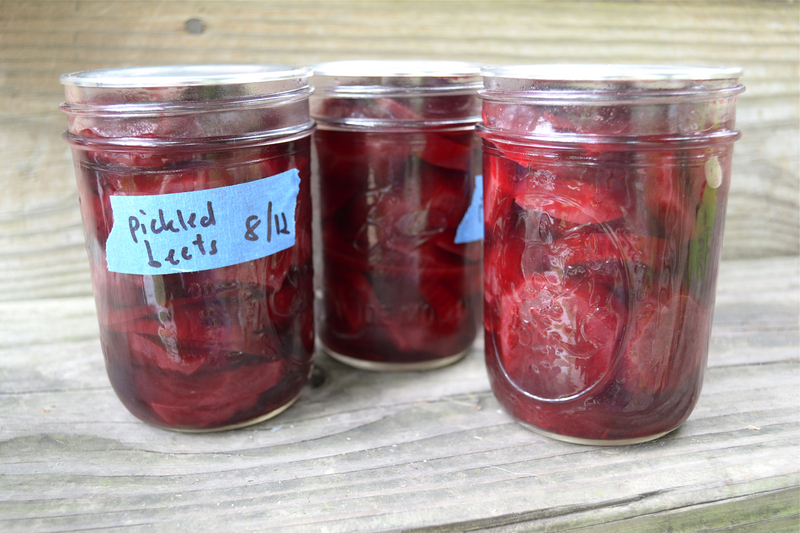 As the pickling recipes I found for beets generally included more sugar than I knew I'd like I tampered with one to achieve what has been dubbed truly delicious by the numerous people that have eaten them since. Since this isn't entirely a food blog, but also a blog about skincare, beauty, and health I'd be remiss if I didn't inform you about the fabulous benefits these colorful veggies bring to your body. Flavor isn't all you'll get when you venture into the land of beet eating! Beets are a food generally known in the natural health community for detoxing the body. 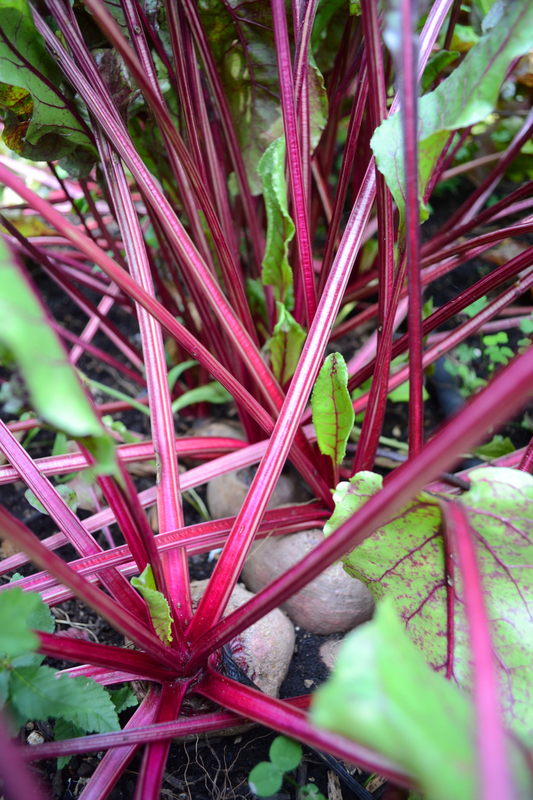 Betalains, a special class of phytochemicals found in beets, have been shown to have anti-inflammatory, antioxidant, and cellular cleansing effects. 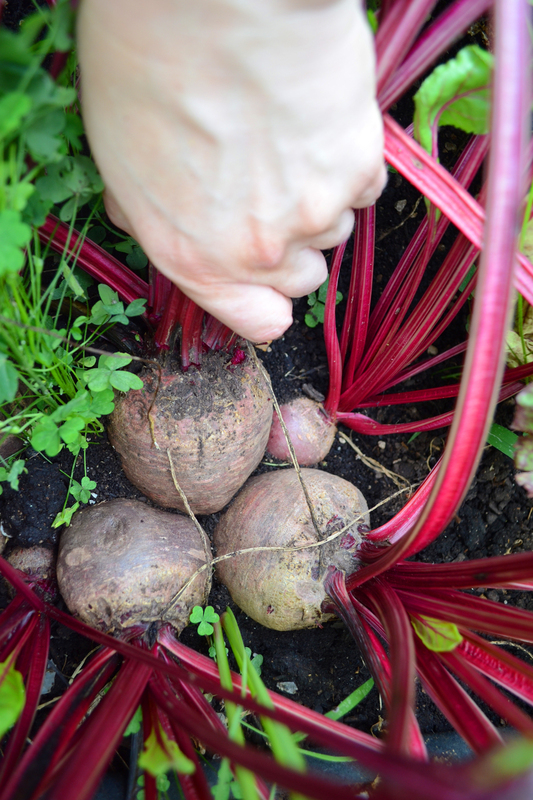 Betalains are part of the deep pigment you see in beets. Their concentration is decreased with extended cooking times so if you enjoy beets raw you'll get the maximum benefit. However we all know that we most readily eat the foods we enjoy so if you like the flavor and texture better when cooked just try to keep your roasting time at an hour or less to avoid degradation of your healing benefits. A healthy food doesn't do anything for you if you won't eat it because you don't like the preparation! 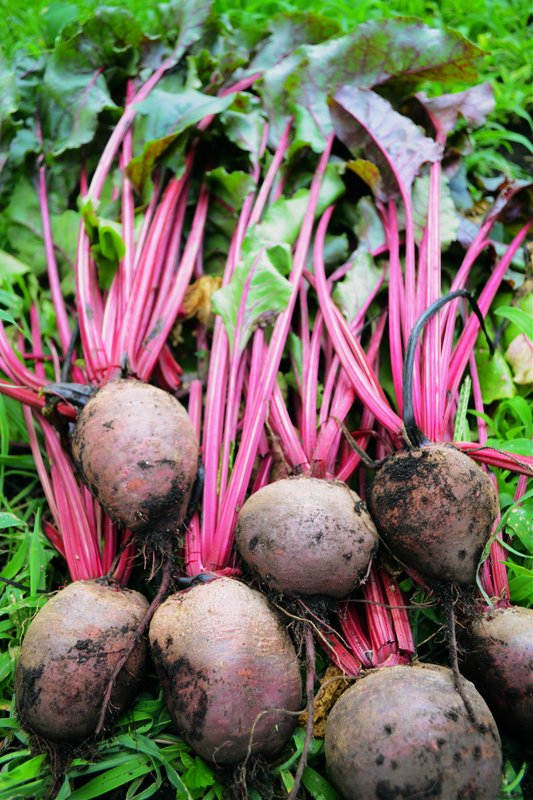 Beets have benefits for your digestive tract, nervous system, cardiovascular system, and may inhibit cancer cell growth. The anti-inflammatory benefits are something to truly consider when thinking about skin conditions like acne, eczema, psoriasis, and even just general signs of aging. Chronic inflammation causes your body's immune system to begin attacking healthy cells. This can be one cause of degradation of collagen and skin tissues as well as extending to vital organs like the heart. Psoriasis especially is a disease related to inflammation and improper immune system function. The immune system begins to attack healthy cells, prompting a buildup of irritated cells as the skin cells attempt to rebuild and reproduce more quickly than they can be shed. A recent imaging study showed that inflammation is widespread throughout the bodies of people who have psoriasis. Inflammation was detected in the liver, joints, tendons and aorta. The anti-inflammatory compounds in beets which inhibit this process by several mechanisms then would be exceptionally helpful in managing the effects of this bodywide problem. 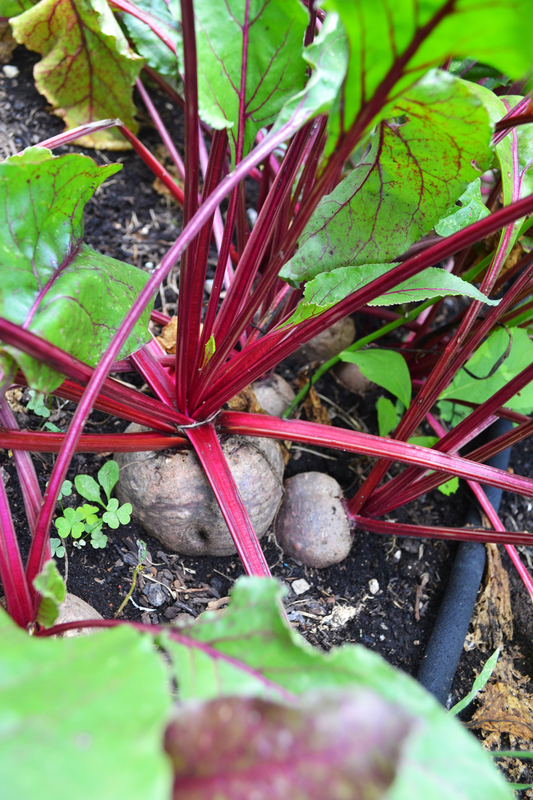 Beets are also a super-rich source of minerals. They concentrate the minerals found in the ground, many of which are vital for dozens of metabolic processes and reactions in your body. They give you a great dose of manganese, potassium, magnesium, iron, phosphorous, and copper. A detoxed body can give you a healthy complexion too. The raw foodies often expound about how their complexion just seems to glow while eating raw and plant based foods. This can be partly because a body laden with too many toxins can develop a sallow complexion. The liver is also responsible for helping process, store, and maintain sugars in the body and if you read my post on how sugar is inflaming and damaging your skin you'll understand how a properly functioning liver can contribute to your good looks. Prescription and OTC medications are generally metabolized by the liver so our modern use of so many drugs can impact how well our livers are functioning. Additionally the majority of people that I know do consume alcohol, which is processed by the liver and most people will generally have some load related to alcohol to deal with. Beets can help keep your liver performing its best through detoxification. Best ways to eat your beets. One simple way is to create a raw juice. The Heart Fortress beet juice recipe from Young and Raw has got you covered for a basic beet juice recipe. I've also been mooning over this Beet Tartine with Marinated Caper Berries recipe from My New Roots. Must try with this year's harvest! A simple way to serve them is just to roast the beets, salt them, and serve them sprinkled with feta or your favorite nut cheese for a creamy and earthy bite of heaven. You can also make a tasty soup called borscht. As I've mentioned they also add a delicious spin to falafel sandwiches! 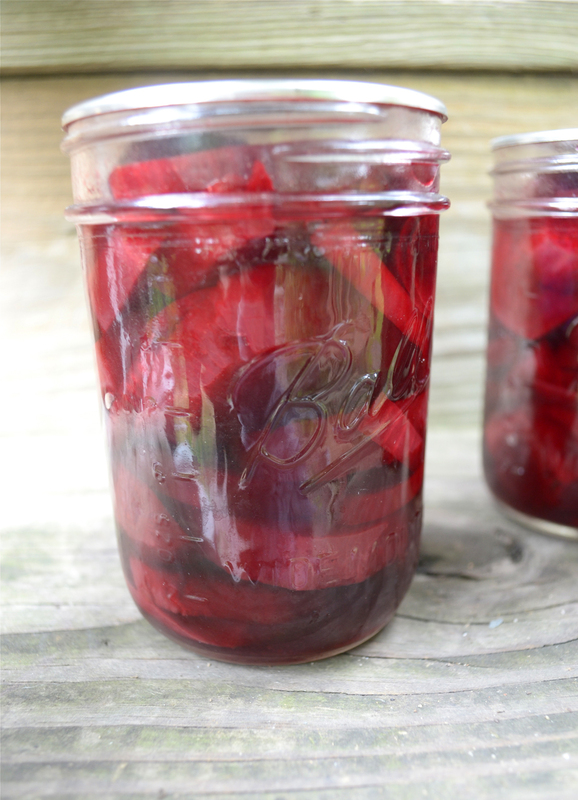 To add to the mix of options I want to share with you my adapted recipe for pickled beets. Then next post I'll share with you a recipe for Strawberry and Pickled Beet Salad with Raspberry Vinaigrette that will have your mouth singing happy, beety praises. Wash beets, oven roast them in foil, peel and slice them. Try this roasting recipe if you are unfamiliar with how to roast beets. Set aside. Combine vinegar, water, sugar, and salt in a pot. Place pickling spice in a tea ball or muslin bag and add to pot. Many recipes for pickling spice are available online or you can purchase a blend from the grocery store. Bring mixture to a boil and reduce heat. Simmer 15 minutes. Remove pickling spice. Pack beets into hot jars layered with onions, leaving ½ inch headspace. Ladle hot liquid over beets, leaving ½ inch headspace. Remove air bubbles. Adjust two piece caps. Process pints 30 minutes in a boiling water canner. This recipe can also be used to make refrigerator pickles if you prefer not to hot can them. Allow to marinate 2 weeks for best flavor, then consume promptly. Enjoy your foray into the finger-staining adventure that is the beet. I hope to be hearing that many of you tried adding this many splendored food to your regimen for beauty and health. I love.. love.. love beets.. I can make a meal out of them. I love them as a snack. yummy. I eat Aunt Nellies pickled beets ......cold whole in salads or I toss a huge amount into my hot dinner.......the "pickeled’ Gives me the flavor I desire ......no bland food for me!